Sensei Wyndham is a native of South Carolina, and began his training in February 1985. He is the owner and chief instructor, of the Wyndham Academy of Self-Defense, with over 34 years of experience, and teaches the time honored traditions of Nihon Goshin Aikido and its emphasis on practical self-defense, personal development and empowerment. Mr. Wyndham is the senior representative in the art of Nihon Goshin Aikido in Spartanburg, SC and his dojo is one of only a few academies throughout the nation to offer instruction in this authentic martial art. He also has a wide range of experience with other martial arts including Karate, Judo, Jiu-Jitsu, Aiki Jiu-Jitsu, Hombu Aikido (Ueshiba style), Filipino Escrima (Kali and Arnis), Ryu Te Kempo and European Fencing. Sensei Wyndham has worked with law enforcement professionals from the Spartanburg County Sheriff’s Department, the Spartanburg County Solicitor’s Office, the Spartanburg County Detention Center, the Greenville County Sheriff’s Department and the Cherokee County Sheriff’s Department. Some of his students have gone on to join the FBI, U.S. Marshal Service, U.S. Marines, U.S. Army, and the Federal Air Marshal program. Sensei Wyndham provides martial arts and self-defense programs for schools and universities such as Wofford College, the University of South Carolina Upstate, , Oakbrook Preparatory School, Spartanburg Day School, and many Upstate school districts. He has conducted a interim Self-Defense program for Wofford College since 2009. Sensei Wyndham continues to conduct self-defense classes and courses for numerous women’s groups, after-school programs, scouting organizations, church groups, civic organizations and corporations (eg BMW, Milliken Corporation, etc.). Sensei Wyndham is a passionate advocate for high quality, traditional martial arts and personal self-defense training. In addition to his in-depth instruction of the physical techniques of self-defense, values such as honor, loyalty, respect, hard work and fair play are found in his teaching methods. Men, Women and children of all ages and walks of life have benefited from his experience in Aikido and the martial arts. Sensei Honeycutt – is a certified instructor with more than 12 years of experience in NGA. Sensei Honeycutt regularly instructs in all youth classes, as well as Tuesday, Thursday and Saturday adult classes. Sensei Honeycutt has over 25 years of military service, including three tours in the Vietnam War. He was also activated for a short period during The Gulf War. Sensei Smith is an certified assistant instructor in the Spartanburg Dojo with 21 years of experience in Nihon Goshin Aikido. He began training in 1984 under Sensei Steven Weber for 9 years before leaving to start a family. He returned in 2006 and is now an instructor under Sensei Wyndham. Mr. Smith leads the Monday evening classes, and regularly assists with the Tuesday Advanced class and Saturday morning adult classes. He enjoys helping students explore practical self-defense applications of Nihon Goshin Aikido, and teaches various self-defense classes through-out the year. Sensei Moon is a certified instructor under Sensei Wyndham. 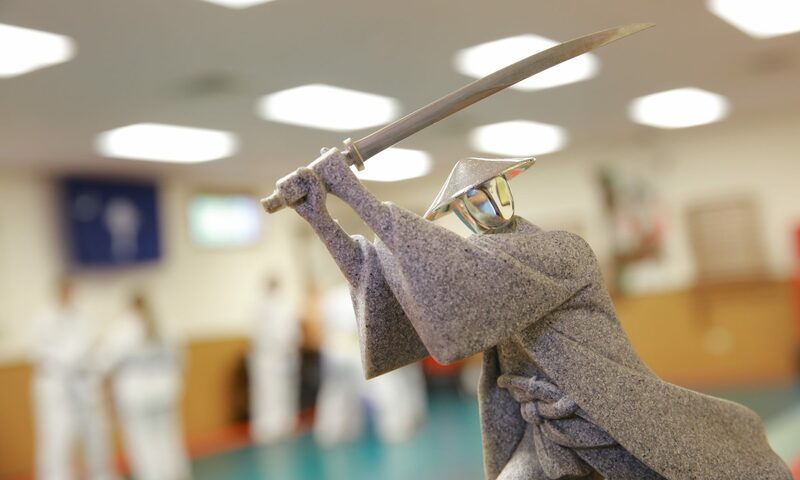 Sensei Moon has extensive training in several styles of Karate including Wada-ryu. He regularly leads the Wednesday evening classes. Sensei White – has over 10 years of experience in NGA. Sensei White often teaches Saturday classes.